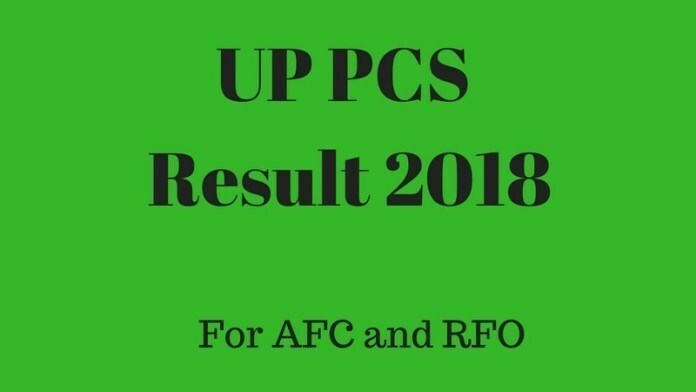 Uttar Pradesh Public Service Commission (UPPSC) has released UP PCS Result 2018 on March 30, 2019 at uppsc.up.nic.in. The UP PCS 2018 prelims exam for which the Result of UP PSC 2018 announced, was held on October 28, 2018. However, candidates can check it from the link below. UP PCS Result 2018 of the Preliminary exam has been announced as pdf, in which roll numbers of qualified candidates are mentioned. The qualified candidates will now be called for the Main exam. To get the detailed and relevant information regarding UP PCS Result 2018, candidates must go through this page. Latest: UP PCS Result 2018 has been announced. Check it from the link below. The Preliminary exam consists of two papers. Both the Papers was of an objective type and carried 200 marks each. Paper 1 consisted of 150 questions, whereas Paper 2 consisted of 100 questions. Now the qualifiers will be called for the main examination as of now there are no dates for the main examination. Result: Click Here to check UP PCS Result 2018. The result for the PCS AFC- RFO preliminary examination has been released now. The candidates who have qualified the preliminary examination now have to undergo the main examination which will be a written paper or descriptive type. The candidates who appeared in the prelims can now check the result. 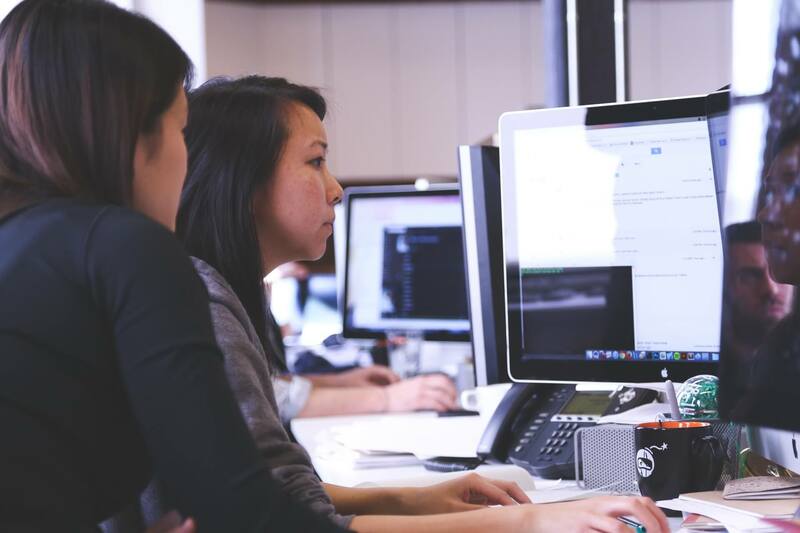 The link redirects to the pdf file which contains the roll number of qualified candidates for the main examination. Now press Ctrl + F and type the roll number. If the file will be containing the roll number, then it will be highlighted there. Note: It is important to score at least 33% in Paper 2 of the preliminary round which is applicable to all category candidates. In all, there are three steps in the selection process of UP PCS 2018. The candidates have to undergo and qualify each phase of the selection process. Though stages also have the conditions. 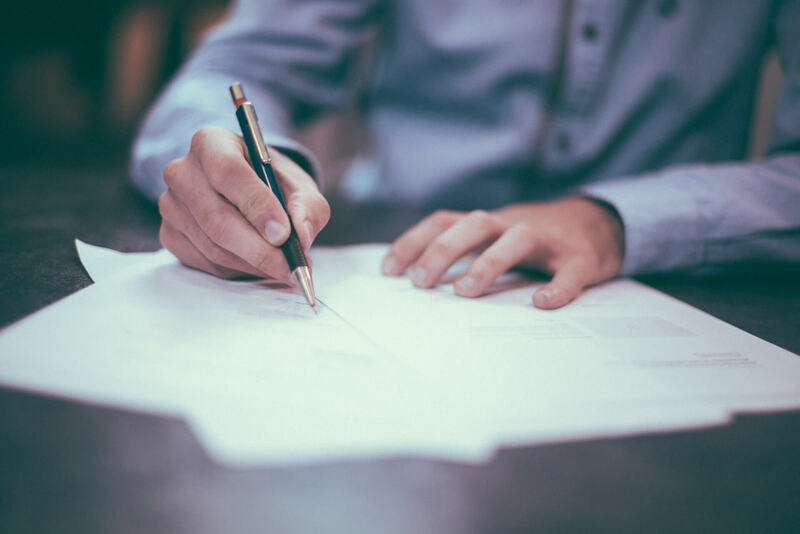 The foremost stage of selection is a preliminray exam and the candidates who obtained the minimum qualifying marks are treated qualified for the main exam. Though the preliminary exam was divided into two parts, Paper- I & II, the second Paper of Prelims was qualifying in nature, and to qualify the Paper – I the candidates had to score 33% minimum. In total there are 06 papers in the main examination, and in each of that, the candidates are required to obtain the minimum qualifying marks. The candidate has to score minimum to qualify in the paper of general Hindi, as well as in the rest of the papers. At last, the qualifiers of pre and main, have to clear the interview. The Commission has not specified any minimum qualifying marks for interview. The candidate who will qualify the Prelims of PCS will be able to apply for the Mains exam. The Mains exam will be a written descriptive paper. The duration for this exam will be of 3 hours. It consists of compulsory as well as optional subjects. To solve the optional question papers the duration will be 3 hours. If the candidate will qualify in the Mains round then they will be eligible to appear in the Interview round. The UP PCS Result 2018 (Mains) contains the list of candidates selected for the Interview round. The candidate who will qualify the Mains round of PCS will be able to appear in the Interview. The Interview will be a Viva-voce type. It will carry 100 marks in total. The Interview will relate to the matter of general interests, academic interests, general awareness, intelligence, analytical skills, personality, and suitability for the AFC-RFO service. After qualifying the Prelims and the Mains round the candidate is required to take the Personality test/Interview also. This round will be the final stage for the Recruitment Process for UP PCS 2018. 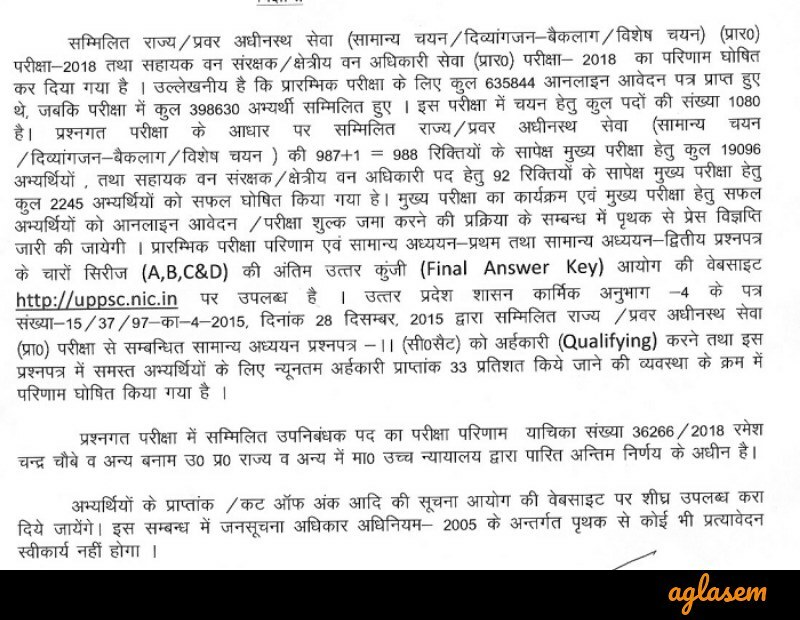 UPPSC will prepare the Merit List of UP PCS AFC- RFO Recruitment 2018. This Merit List will prepare on the basis of all the three stages explained above. The final result will depend upon the Merit List. It is compulsory for the candidates to appear in all three levels of examinations. The candidates who will qualify all the three rounds will get recruited as Assistant Conservator of Forest (ACF) and Range Forest Officer (RFO). Consequently, after clearing all the stages students will curious to know the pay scale of the posts also. The salary scale for both the posts is mentioned below.